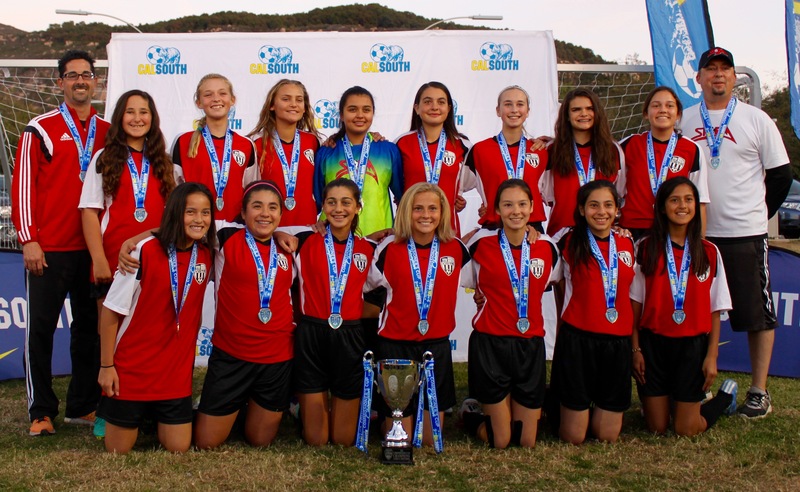 Congratulations to Coaches Christian and Carlos and their Girls U14 Premier All-Star team for winning the Commissioner’s Cup. After finishing second in a group of six, the girls had an opportunity for redemption in the finals where they faced San Marcos, the only team to beat them. After a well-played game, Vista Storm lifted the cup with a 2-0 victory, earning a spot in the Tournament of Champions. Way to go ladies!